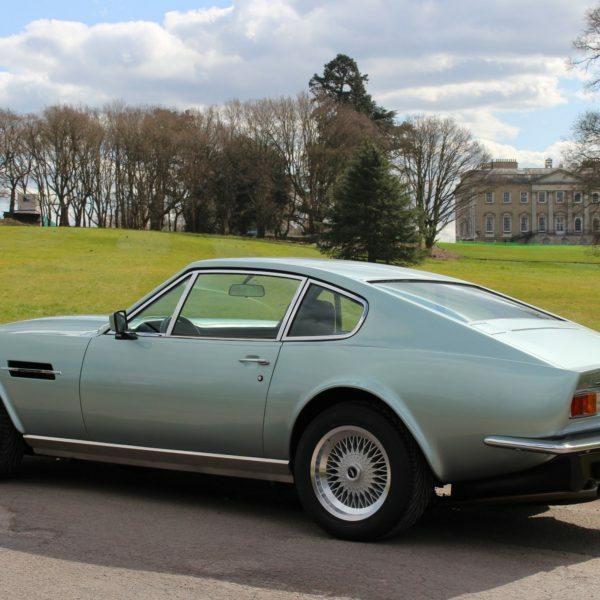 • One of six factory ‘French’ specification cars shipped to the Gulf. 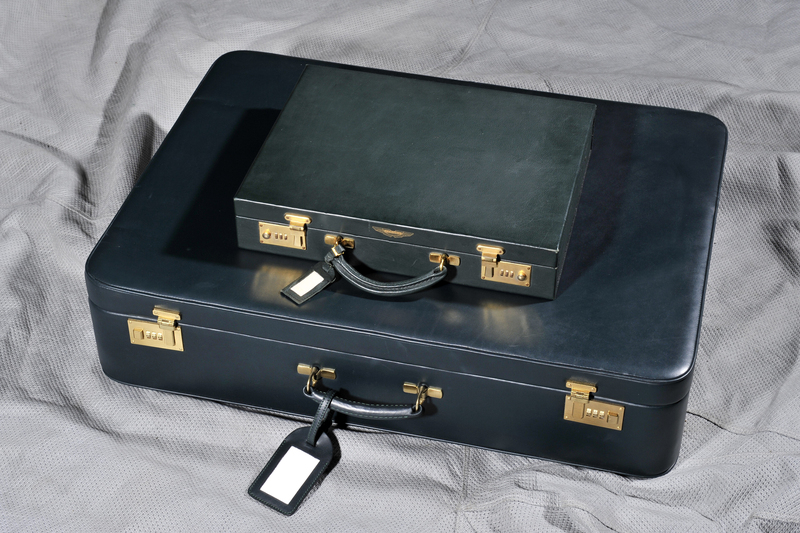 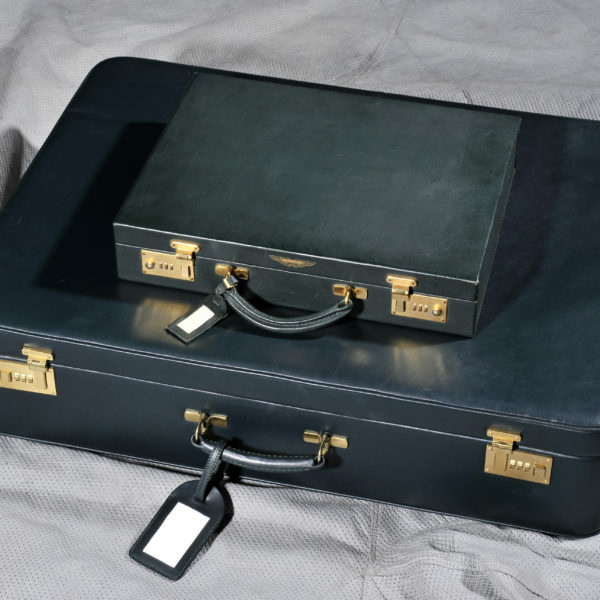 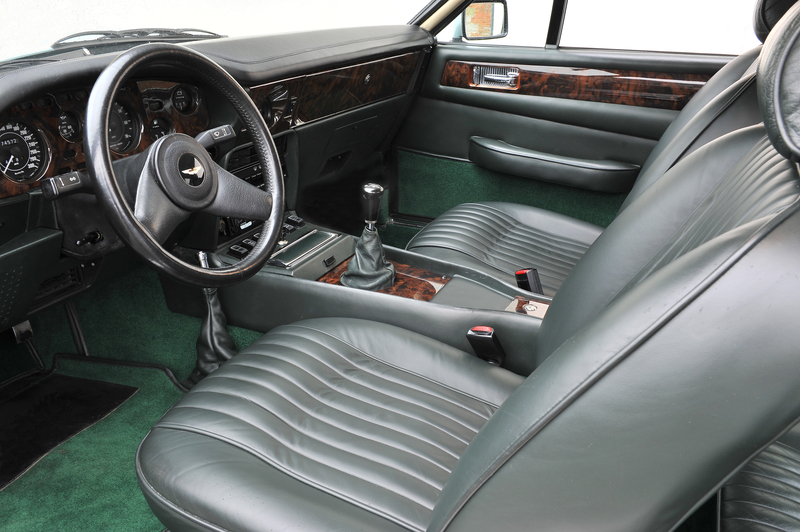 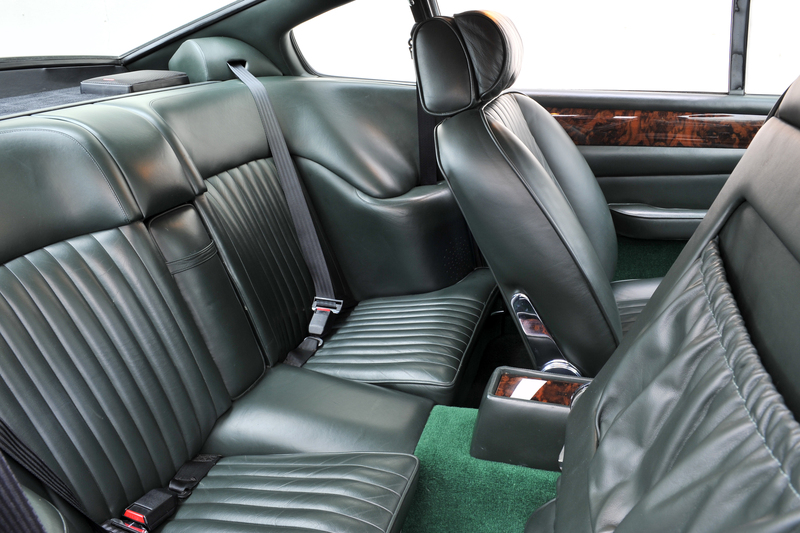 Originally ordered by a member of the Oman Royal family, further unique specifications include fitted luggage to match the interior including matching briefcase, wood interior to full V8 saloon specification with dashboard under-panels in matching dark green leather, two rear safety belts and a set of lambs-wool floor rugs. 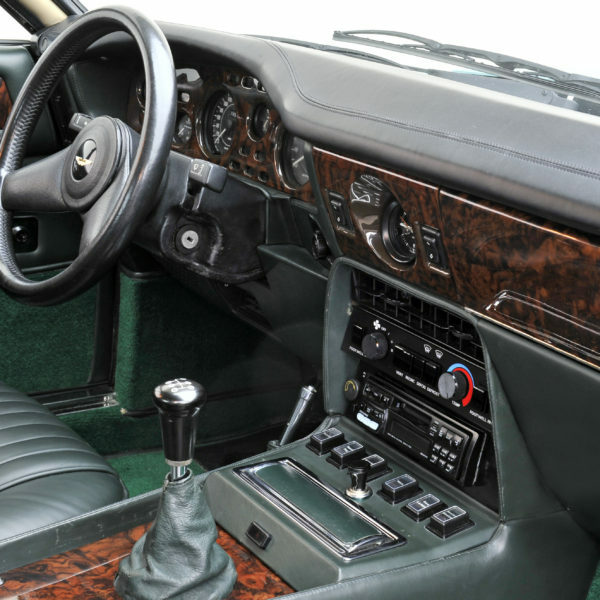 In 2015 ownership passed to the current custodian and RS Williams completed a full service, update of the air conditioning system and installation of a short shift gear lever upgrade. 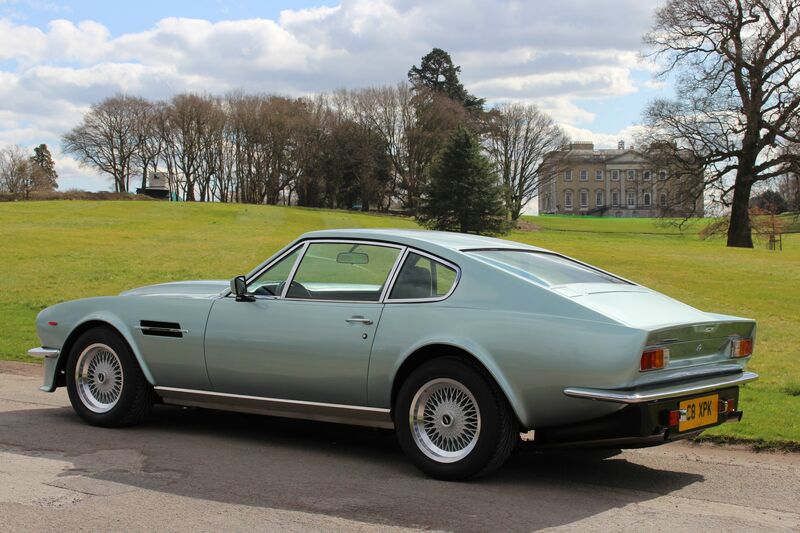 With only three owners from new this early X-Pack is in superb mechanical and cosmetic condition. 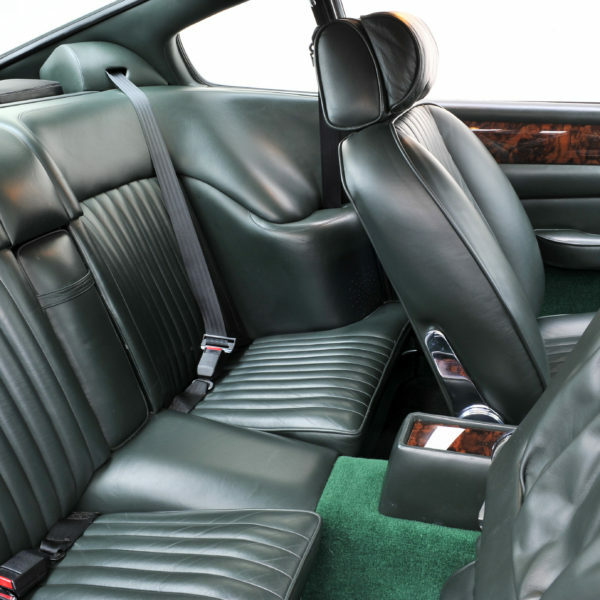 Mileage is 74,847KM so under 2,500KM per Year. 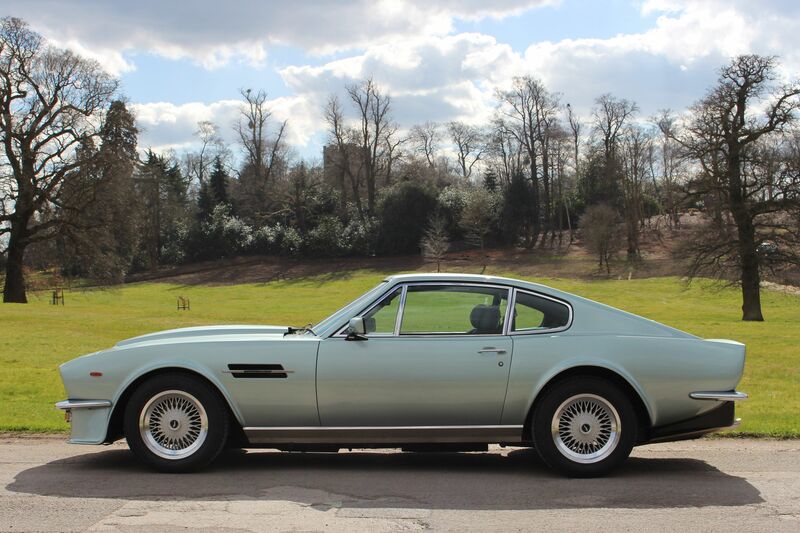 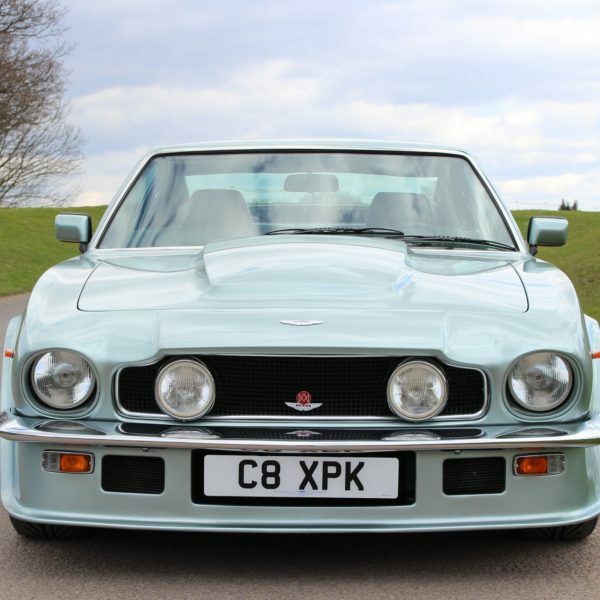 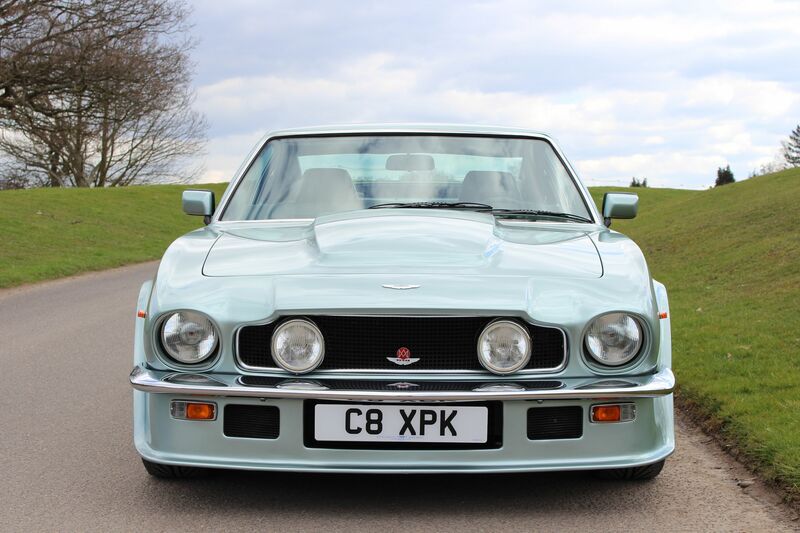 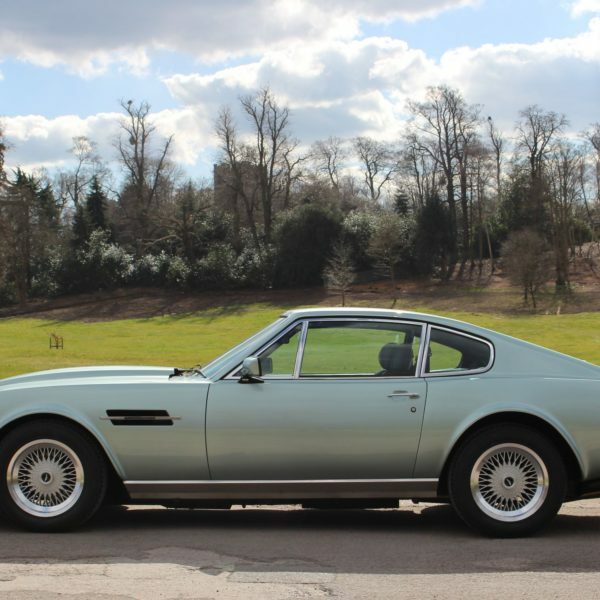 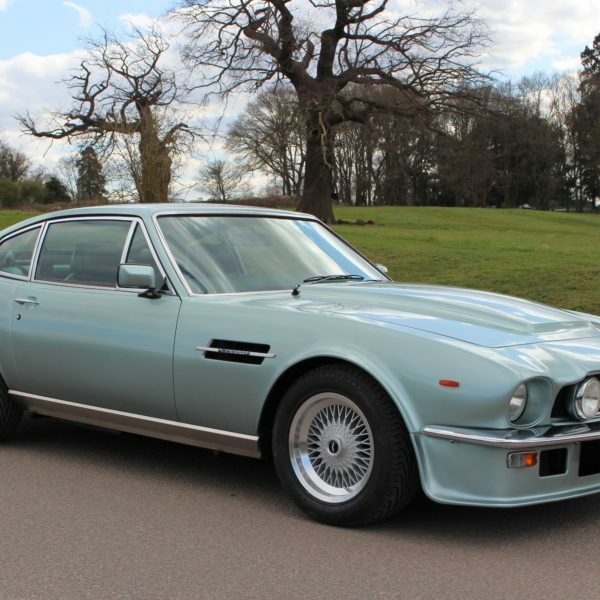 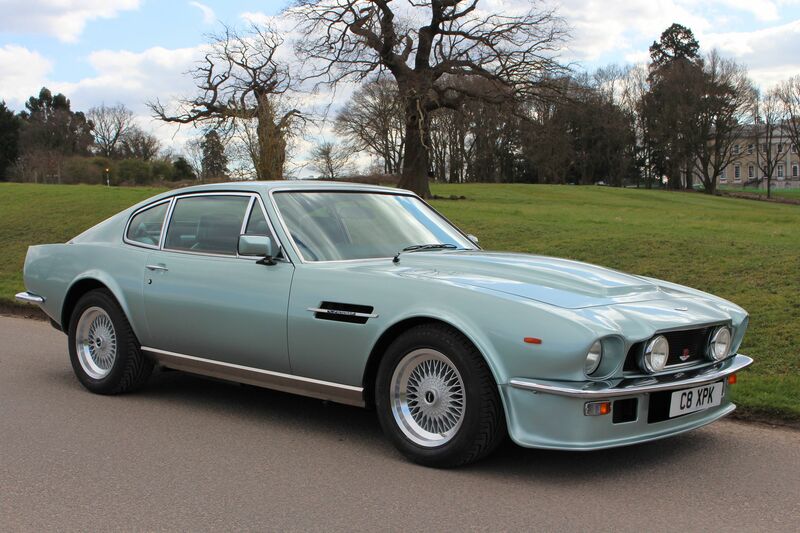 The V580X Vantage was introduced in early 1986, first chassis number was 12507. 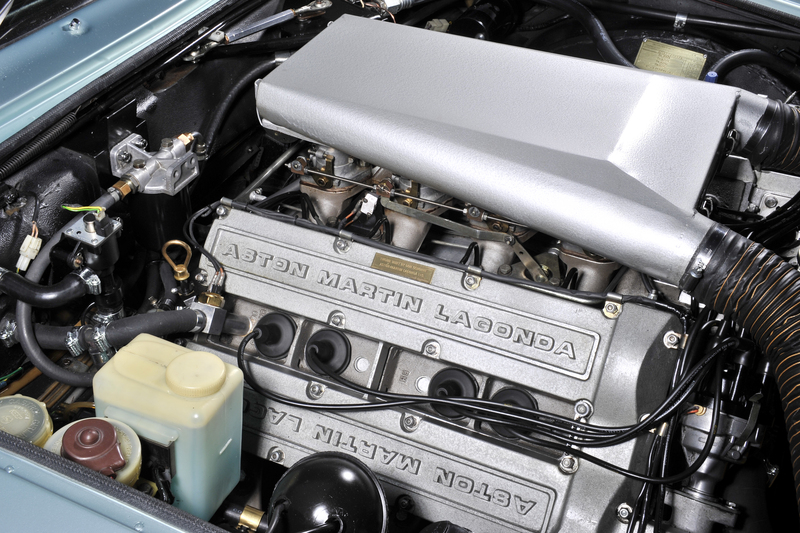 It was the first major engine upgrade since the V580 Vantage in 1980. 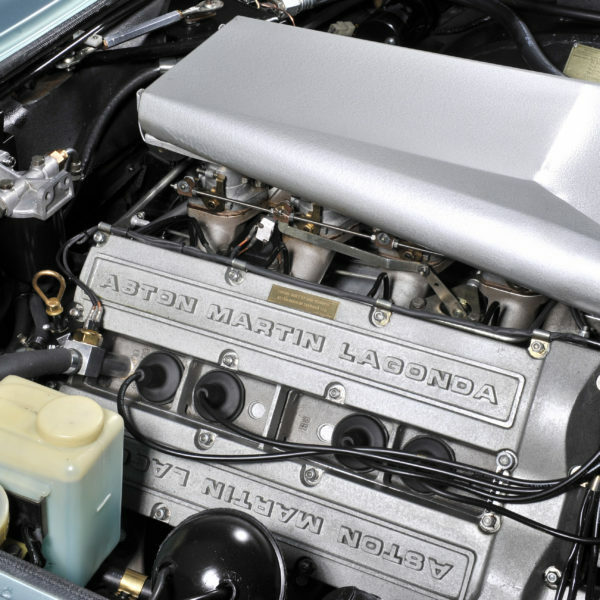 The “X” in the engine number stood for “extra performance” according to the internal factory engineering memos and was derived from the “South Africa” specification engine developed in the early 1980’s for the AM importer in Johannesburg. 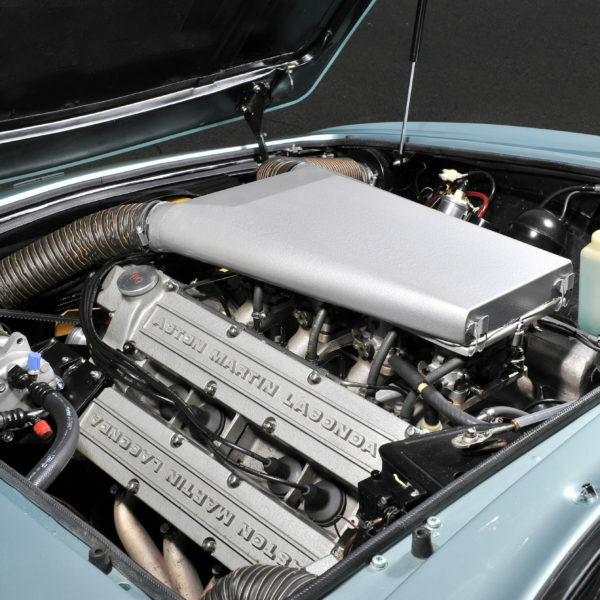 The V580X engine was an uprated V580 engine with higher lift camshafts, high compression Cosworth pistons, revised exhaust valves, later specification Weber 48 mm carbs with larger jetting, twin air pumps, revised ignition timing and some other small detail changes. 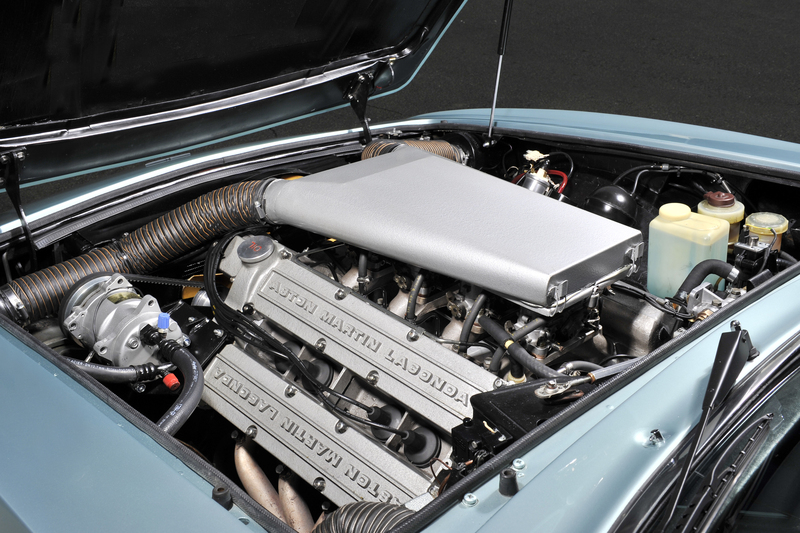 The engine was certified for production with 408 bhp according to the certification papers. 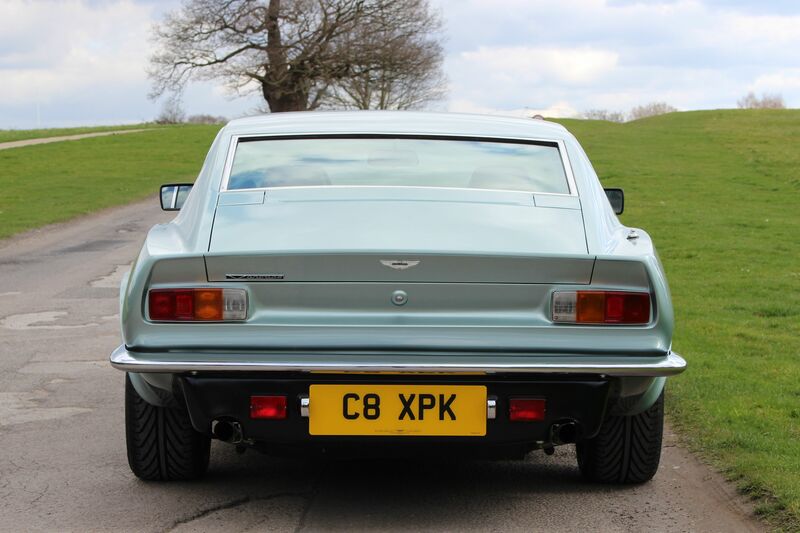 From chassis number 12528 16″ wheels and tyres with revised suspension including dual rate springs, became standard. 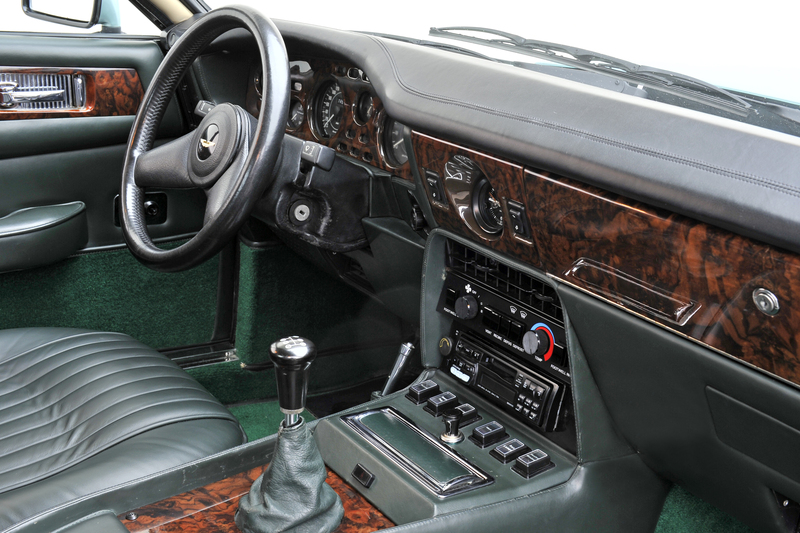 In 1987 12585 was the first car to receive the revised oil/cooling upgrades which featured twin electric fans and full flow oil system. 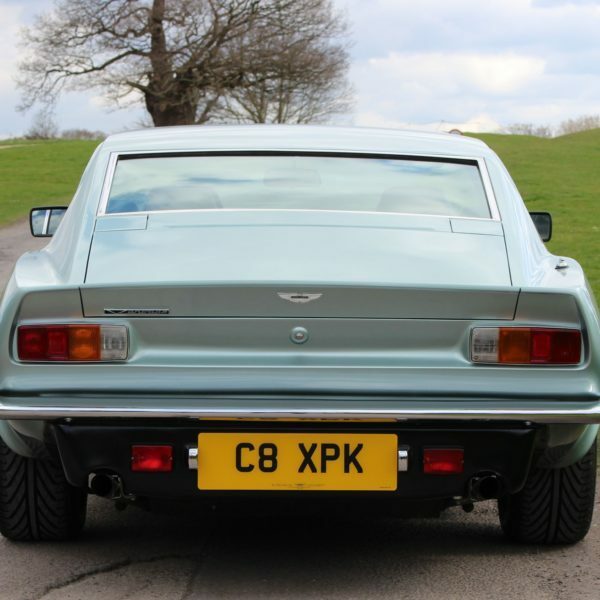 By this stage all cars came fitted with 16″ Ronal wheels. 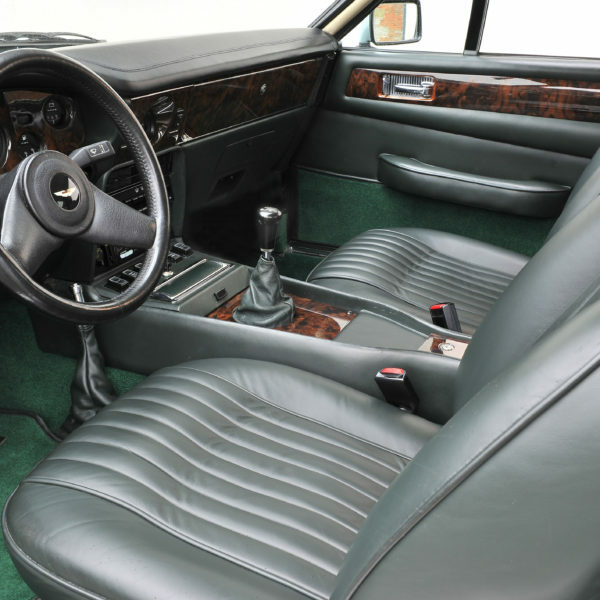 The car continued with this spec until production ended with chassis number 12701 in 1990.